The indefatigable WILLIAM KENTRIDGE (lives and works in Johannesburg) is without doubt one of the most influential artists in the world today. What sets him apart is his ability to communicate so effectively in so many different media and to reach so many different audiences as a result. He directs and designs operas. He directs and acts in theatrical performances. He makes videos. He draws. He is a uniquely talented sculptor. He is one of the most original printmakers to emerge on the world scene in the last twenty years. 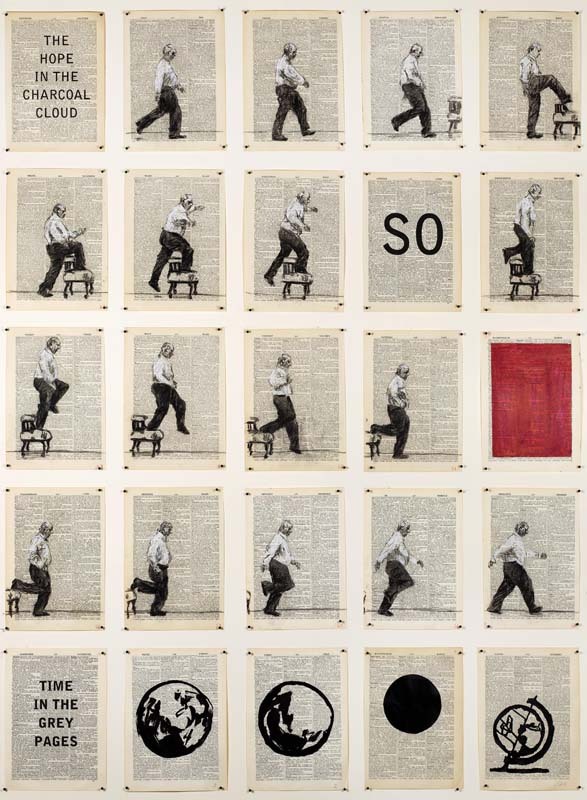 The new exhibition of work by WILLIAM KENTRIDGE entitled SO brings together a variety of media. Diverse in perspective and execution, they explore the numerous concerns and ideas of this restless artistic imagination. Whether seen through Kentridge’s individual works, or through the prism of the exhibition as a whole, the viewer has the thrill of responding to art in new and stimulating ways. This will be the eighth solo exhibition of the work of William Kentridge at Annandale Galleries since 1995. WILLIAM KENTRIDGE’s work has had solo exhibitions in major museums all over the world including MOMA and the Metropolitan in NY and the Tate, London. His work is collected in depth by all State Galleries in Australia. The National Gallery held a large exhibition of their Kentridge holdings in October/November 2013 and his massive video installation ‘The Refusal of Time’ is currently on show at the Art Gallery of Western Australia. He is the holder of numerous honourary Doctorates and the winner of countless prizes.